Developing a Marketing Automation Strategy isn’t easy, but it is worthwhile. Here some tips. 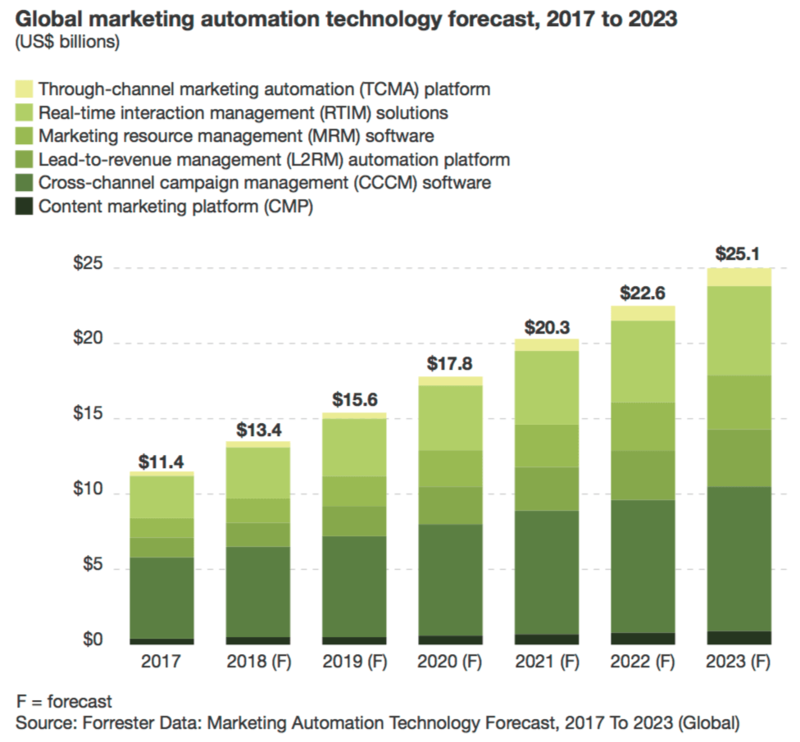 Marketers know automation is important and plan to spend more money on it very soon, but they don’t know how to create a strategy around it. Developing an automation strategy isn’t easy, but it is worthwhile. By asking yourself the right questions about who you want to reach and what you want to provide before, during, and after the decision-making process, you can get a strategy in place that will put those expensive automation platforms to work and start making a dent in your ROI. The logic on these emails can be created quickly. They can also be ridiculously successful with the right subject lines, offers, and timing. It’s no wonder they’re so popular. But you can also use email automation to add a lot more value to the overall experience your customers have with your product or service, not just to ask them for something. This may come by way of sending reminders, post-purchase education, or simple “happy birthday” messages. Beyond email, you should think about automation for anything your business uses to interact with customers in a highly repeatable manner. For your business, that might be direct mail coupons sent after someone buys a specific product they’re likely to want again. Or maybe it’s an automated telephone call reminding them to vote for your candidate in an upcoming election. Maybe it’s more advanced scoring of leads, and passing that information to a member of the sales team so they can follow up. Basically, if it’s predictable and repeatable, marketing automation can handle it. On the other hand, if it’s not predictable — like a human being — or repeatable — like interactions with human beings — don’t automate it. For example: if you manufacture cell phone accessories and use your Twitter account for customer service, an automated response to every mention of “thanks for your tweet, we’ll reply soon!” would work up until the moment someone claims their device caught fire. Another consideration: with the added rules of the General Data Protection Regulation (GDPR), you can potentially get your business into hot water by sending unexpected — and let’s face it, unwanted — sales messages to visitors who have never contacted you or explicitly opted in to communication. So be careful about scoring and contacting leads who haven’t ticked a “I’m interested in hearing from you” box. They may show promise, but citizens of the EU now have to give explicit consent to allow such communication. Before a conversion takes place, automation can be used in a few ways to make potential leads or purchasers aware of who you are, what you’re offering, and why you’re better than the competition. Although automation may not seem as useful at this early stage compared to its place during the actual decision-making process (which is where abandoned cart emails, one common form, show up), there are still plenty of time-saving opportunities here to explore. After the form is completed and the demo begins, the visitor is sent the first email in a series of automated messages. You can send a piece of downloadable content in this first email… then following up with a message from a sales representative within five minutes. Social media automation can be helpful some tools can help you flag groups of people talking about a specific subject related to your business — for example, a product that’s highly desired, or a service you offer that folks may not even know exists. Respond to social users seeking an item or service you provide could be an opportunity also for B2B. You can save time by crafting a message that encourages everyone talking about a relevant subject to take action. For example, you can collect the Twitter handles of everyone who tweeted about a specific feature being unavailable. 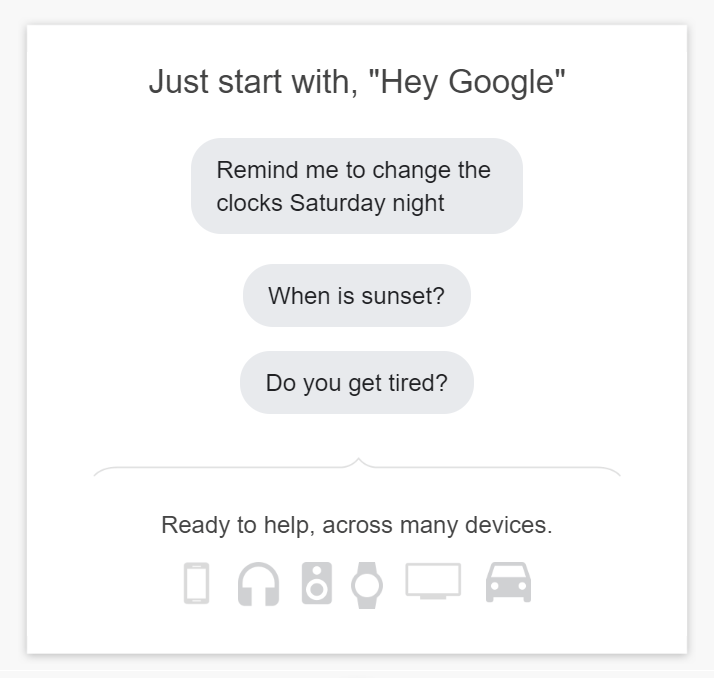 Then, when the feature returned, they used automation to send a message about its availability to the users. In this case, the users likely had some level of awareness of service or the feature that was unavailable. But it would be very easy to monitor for users saying “I wish I had x” or “why can’t I find y” and automating responses directing them to what you offer. As a general note, it would probably be more desirable to send individual messages (one message per user) instead of batches (one message per multiple users) as shown here. That way your customers won’t feel like they’re on the receiving end of communication from a robot. For those instances where dozens or even hundreds of people are asking the same question about the same subject, you can respond quickly with the right tool and a carefully crafted message. But tread carefully, and when in doubt about looking like a human, ask an expert for advice. There is really no better audience than a captive one. Especially in this new era of GDPR. If you’ve already done the legwork to educate a visitor about your company, automation can now play a pivotal role in convincing them to convert. It’s at this stage that you’ll see common options like cart abandonment emails… but there are also a few new ideas you may want to explore. Use well-timed email automation to send enticing offers is a basic role in Marketing Automation. If someone opts in to your email list because they’re legitimately interested, these are the first people you should be sending automated campaigns to. If you’re not already sending messages to people who have explicitly said “I like you and what you do and I want to hear from you,” that is a gap you should be filing with automation. If you have qualified leads, automation like this can help you close the sale. Discount or other increasingly better offers are hard to ignore, especially if a lead is already interested in making a purchase, which is why this campaign works so well. Bring shoppers with abandoned carts back to finish their purchase is another important role in Marketing Automation. Shopping carts are abandoned for lots of reasons. Among the top reasons are unexpected shipping cost, or the shopper simply conducting research to find the best product for the best price. If you’re willing to do something to combat these causes of abandonment, like offering a coupon code, automation can help you reach these potential customers quickly, and potentially bring back a substantial amount of revenue you might have otherwise lost. The automation can include an email reminding the potential customer that they left something in their cart, and then sends messages offering a percentage off their purchase as an incentive to finish the transaction. There’s a lot to be said about automating messages after the sale. Post-purchase automation may not seem as worthwhile because, well, you already have their money. But automation can be incredibly useful here. Keep customers on track can reduce the strain on support. For example, sending automatic reminders to renew or update the software license. If you have a product or service that requires periodic updates this automation is very useful. Think about sending messages reminding folks when it’s time to make an appointment, buy new filters, replace parts, or extend a warranty. And if you offer any sort of timed reminders, giving the customer the power to delay or reschedule those reminders can keep them dedicated to you, no matter what their schedule currently looks like. These “pro tips” aren’t just entertaining — they’re actually useful. They can help customers avoid feeling like they wasted money on a product that is too complex for them, or (depending on the item in question) too limited. Any sort of product or service that requires education to use properly could benefit from automation like this. If you already have a lot of content prepared, make use of it! Finally, don’t forget about requests for feedback. They’re easy to automate, they get much needed social proof on your site, and they can also remind customers to contact you about a nagging issue they might have. One practical example: after a user has been signed up for a specific period of time, send them an NPS survey. If they give you a high score (an 8 or above), you can then automate another email asking for a review, because you know they’re most likely to give you positive social proof. However, you may want to treat lightly with automated requests for feedback or reviews. If a customer returns something or has a complaint, you need to have a system in place to take them off a “how did we do?” automation. Don’t be tone-deaf. Asking reviews from folks who gave you 8 or more for NPS is a good way to do that. Obviously, a large part of creating your strategy is going to involve deciding who you want to reach, when to send your messages, and how. But the remaining parts, which are just as important as deciding what to automate in the first place, involve tracking your results and performing A/B tests. Tracking your results and testing for improvement is essential. Again, these are questions you should ask yourself about every automation you start running. Don’t be misguided by a flood of new clicks or revenue that wasn’t there before — there are always opportunities to improve. Once you’ve identified a potential opportunity — a lackluster response rate, an issue for your support team — the best approach you can take is A/B testing a new version against the original. You will probably never finish optimising your automations, and that’s okay. The goal isn’t to create campaigns that are “successful enough” or “save a little time.” Accept the fact that even automated messaging takes hard work and multiple iterations, and you’ll start to see every weak text message campaign or low-results email as an opportunity. La Spesa Sociale in Italia e in Irlanda. Un Impietoso Confronto.